Gaming has come a long way since the days when it was a hobby enjoyed by people living in their mother’s basements. And while gaming and eSports may have become cooler, there’s still some disagreement as to whether or not we should take eSports seriously. However, thanks to a massive cash injection from two massive titans of the music industry scene, people are going to start paying attention. We expect to see some big changes very soon. 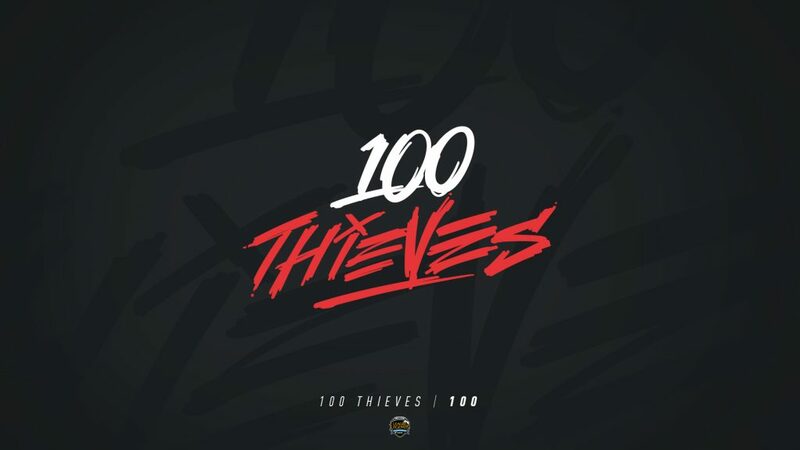 Since most of you are League of Legends players, you’ve probably heard of “100 Thieves” before. In just a few months, they went from being almost completely unknown to one of the best teams in NA. They became so good so rapidly that they made it to the 2018 League of Legends Worlds Championship – along with taking on such famous players as Aphromoo, Meteos and more! Few teams have seen such instant success. The team began when one professional American Call of Duty player decided he could do more than play a single game for the rest of his life – and now, along with a professional lol team, he also has a Fortnite one too! Of course, Drake has been hugely impactful also, along with the famous talent manager, Scooter Braun. If you haven’t heard of Braun, we guarantee you’ve heard to the people he manages: Carly Rae, Ariana Grande, just to name a few. How exactly are Drake and Braun helping to make eSports cool though? Well, they have Drake for a start! We’ve seen it time and time again – when a famous person invests in something, people flock to it. It’s why perfume companies clamor to get the names of famous celebs slapped onto their bottles. This is the kind of mindset many people have. We’re not saying it’s a good one though. In fact, we’d warn against doing something just because your idol does it. Drake has done more than simply invest in gaming though; He’s become a part of it. Drakes appearance on Ninja’s stream brought in a jaw-dropping 628K concurrent viewers, blowing Dr Dre’s previous record of 388k out of the water! They didn’t stop with a single stream either! 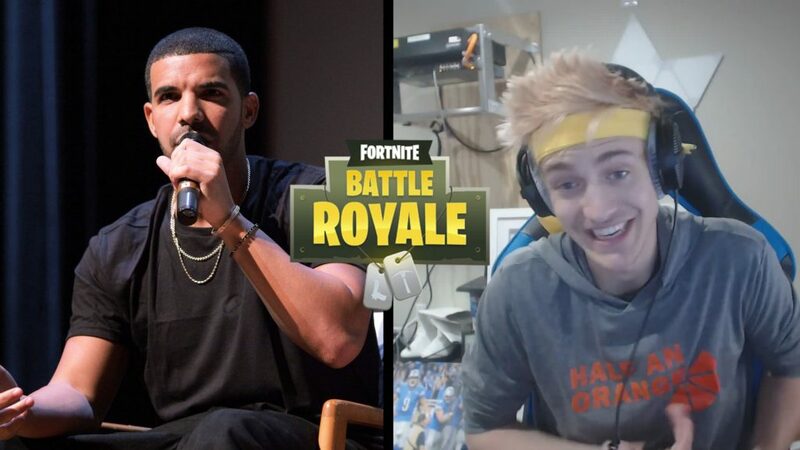 During round 2, Drake promised to donate 5000 dollars to Ninja’s stream if he got a victory, which of course he did! And, true to his word, Drake quickly handed over the large sum of cash. The merging of Drakes love for music, and Ninja’s love for gaming has had an incredibly positive impact on both industries – and Drake even went on to say that if Epic Games added the “Hotline Bling” dance as a purchasable emote, he would add some Fortnite references into his next song. The total investment 100 Thieves received from its backers has hit $25 million, and with that money, the company plans to do some big things. Not only will they be acquiring new talent to increase their eSports presence further, but they’ll also be expanding their range of clothing. The Drake and Ninja crossover, combined with Drakes investment into 100 Thieves, makes it seem likely that more people will flock to Fortnite. However, what about other celebrities? In our opinion, Drake has set a precedent for many more gaming celebrities. The more popular Fortnite – and gaming in general – becomes, the more famous people will gain interest: This will make Fortnite even more popular, creating a positive feedback loop. This is not so great if you hate the Battle Royale genre though. 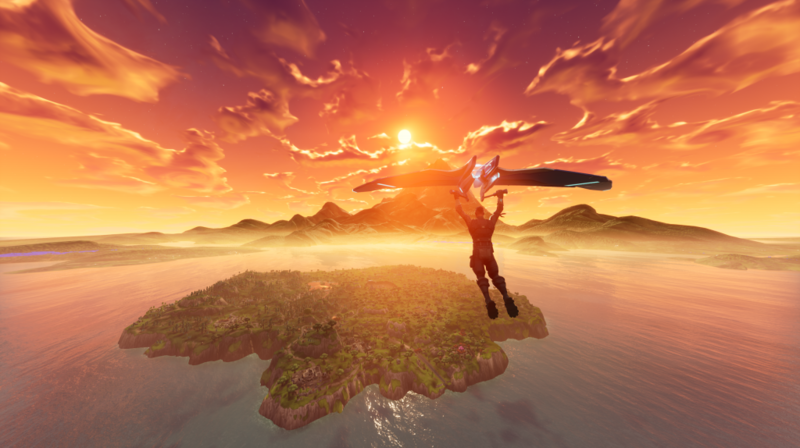 The continuous growth of Fortnite is likely to keep the trend of Battle Royale games alive for longer – companies will keep on popping out Fortnite clones left, right, and centre, and we’re worried. When LoL began to see major success, many companies focused on creating their own MOBA. And why wouldn’t they? People love bandwagons, if it works for someone else then why would it not work for them? Plus, the sole purpose of a company is to turn a profit, and breaking the mold is a risky move. This lead to a lack of innovation, because creating new stuff is difficult, and no one wants to do it when they’ve got an excellent formula to follow. We saw the same thing happen with World of Warcraft and MMO’s. Some might argue that those companies were only giving the people what they wanted, which is a fair point. After all, the reason trash TV exists is because a large portion of people out there like it for some reason – we must simply wait until people get bored and move onto something else. No matter how you feel about the Battle Royale craze, there is some good news for all of us. Fortnite being more prominent means that more games with free to play models will hit the market – after all, why would people pay $9.99 per month, when they can pay $0.00 and play Fortnite forever? It’s a little surprising that Fortnite Battle Royale has done this well – especially when you consider that it was an attempt to save the original Fortnite, which was quickly dying. Now it’s surpassed the likes of PUBG, and is neck and neck with League of Legends to be the biggest game out there! One thing’s for certain: Drake has done more than any other celebrities have when it comes to proving to the world that eSports are cool, and we can’t wait for their next stream! Now all we need is some big name people to play League of Legends – we’ve had “Imagine Dragons” but having someone actually stream with a pro could really boost the game. We’d pay to see Obama running it down mid. League of Legends isn’t going anywhere soon though, so pick up some rare skins now!